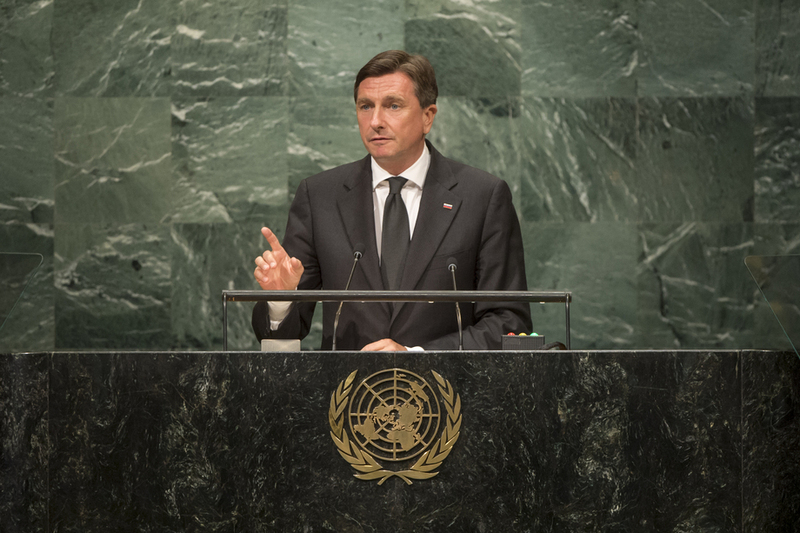 BORUT PAHOR, President of Slovenia, discussed the challenges and opportunities of the digital transformation sweeping the globe. While expressing optimism that such progress would offer new solutions to problems, he also warned that it could deepen the age-old challenge of social inequality. A key challenge, he said, was to ensure that the technological revolution would benefit all, not just the most privileged. That issue would have to be addressed by the United Nations. That challenge was not beyond the capacity of the United Nations to solve, he said, pointing to the international community’s successful efforts to reach the Paris Agreement. Among the factors contributing to that success may have been that climate change was a major factor of global migration. However, he warned, “as long as migration is not regulated, it will continue to cause the world’s paramount security problem”. He went on to discuss the role of the United Nations in conflict resolution — a fundamental reason for the organization’s existence. It was vital for the Organization to adapt to the new global balance of power. “If the UN system is not successful in coping with international conflicts, it risks being side-lined,” he warned. Noting that Slovenia had presented Danilo Turk, former Head of State and former Assistant Secretary-General for Political Affairs, as a candidate for Secretary-General, he said it was time for the Organization’s head to come from the Eastern European Group. As a member of the Human Rights Council and as current chair of the Human Security Network, among others, Slovenia would continue to promote United Nations principles. His country would be particularly active within the Food and Agriculture Organization (FAO) during this General Assembly session. Slovenia would continue its efforts to have 20 May proclaimed “World Bee Day”, based on its belief that strengthening common care for pollinators was crucial for food security, biodiversity and sustainable development.